Enjoy classic stories, great acting, lavish costumes, and spectacular locations in five British dramas seen on public television. 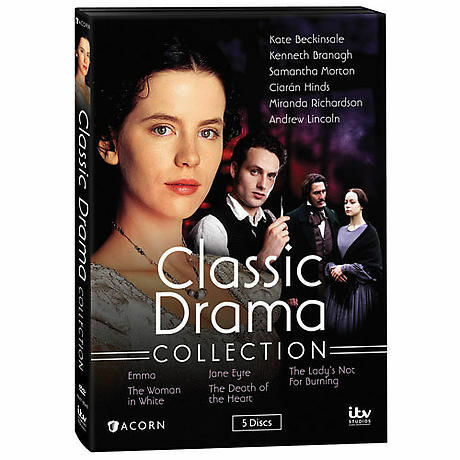 Collection includes Emma, Jane Eyre, The Woman in White, The Lady's Not for Burning, and The Death of the Heart. With Kate Beckinsale, Mark Strong, Samantha Morton, Ciaran Hinds, Kenneth Branagh, Tara Fitzgerald, and Andrew Lincoln. 5 movies, 8 3/4 hrs, 5 DVDs, SDH.